Long Beach, Calif. – February 24, 2016 – Formula DRIFT presented by Blackvue has renewed their relationship with Evergreen Speedway for three years extending into 2018. Since 2005, the venue has hosted the Series in the Pacific Northwest. 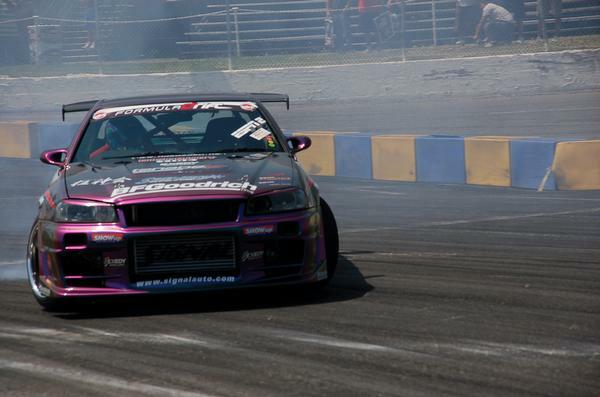 In 2005, Formula DRIFT began the relationship with Evergreen Speedway. 2016 marks the 11th consecutive season for the Series to return to the venue, which is the 3rd longest running relationship for the Series with a track only followed by Irwindale Speedway and Road Atlanta. The event draws one of the largest attended crowds outside of Southern California showcasing the popularity of the sport in the Pacific Northwest. The event’s popularity stems from the exciting action on track. The course is one of the most challenging on the circuit and the variable weather conditions adds a dynamic element to the competition. Formula DRIFT returns to Evergreen Speedway in Monroe, WA on August 5-6, 2016 for Round 6, Throwdown. Tickets are available now on www.formulad.com starting at $34.90 online for a one-day Friday ticket. The 2016 Formula DRIFT Championship begins on April 9-10 in Long Beach, CA. Tickets can be purchased through www.formulad.com, Ticketmaster outlets, and the Long Beach Convention Center box office. For more information visit: www.formulad.com and find Formula DRIFT on Instagram, Facebook and Twitter. Tune into Formula DRIFT on CBS Sports and check your local listings for airtimes.